Acklins and Crooked Island are two of the four islands forming an atoll which hugs the beautiful shallow waters of the Bight of Acklins. Bordered by the nearly uninhabited Castle Island and Long Cay, they are as natural as they were when The Bahamas was first “discovered”. Getting to these islands is simple. 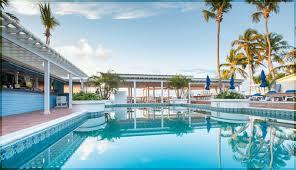 There are twice weekly scheduled flights from the capital of Nassau and several charter flights available. Although many locals prefer to travel by boat, bringing with them their monthly shopping from Nassau and Florida as shops on Acklins and Crooked Island are far and few. Getting to the island is easily accessible from Nassau with a few weekly flights a week and also by the country’s mail boat system. One of the least known islands of The Bahamas, Acklins comprises the southern and south-eastern part of the chain. The terrain is hilly and desolate, with unusual rock formations, and varied plant and animal life, including an occasional swamp turtle. Along its coastline are numerous hidden coves with extensive, beautiful beaches and a number of tiny, colourful villages. If you are looking for a remote getaway, rustic landscape, stunning beaches and an abundance of wildlife, then Acklins and Crooked Island is a perfect choice.